Turkey on Saturday slammed what it called defamatory and false statements of the Czech President Milos Zeman, who said on March 19 that the Turkish government was a de facto ally of the Islamic State (ISIS). Zeman blamed Turkey for supporting ISIS by helping the jihadi group's logistics operations during a speech in Karlovy Vary region of Czechia. "Why [do the Turks] attack the Kurds? Because they are de facto allies of the ISIS", the Czech President said citing Turkey’s military operations against Kurdish militia in Syria. Turkey sees the Kurdish People’s Protection Units (YPG) in Syria as an extension of the outlawed Kurdistan Workers Party (PKK), while the YPG forms the backbone of U.S.-led coalition forces fighting against ISIS. Zeman also said that the Turkish President Recep Tayyip Erdoğan’s domestic and foreign policies transformed Turkey into an Islamic country. "This is no longer the secular state of [Mustafa Kemal] Ataturk, but a state that professes Islamic ideology, and as follows logically, that the Turkish state stands close to the Islamic radicals and attacks the Kurds,” Sol news site quoted Zeman as saying. “We observe with great regret that Czech President Milos Zeman continues his defamatory and false statements targeting our country,” the Turkish foreign ministry said on Saturday in a written statement. The ministry said statements that were based “solely on lack of knowledge and a shallow point of view” did not serve any purpose. It also said that the Zeman’s such statements reflected a “purely malevolent approach”. The ministry said Turkey was at the forefront of the fights against ISIS, adding that it was a shame that those who could be at the forefront of this fight, pontificated and slandered from afar targeting Turkey. A Moroccan engineer who joined the Islamic State (ISIS) in Syria in 2013 says he essentially served as the terrorist organisation’s ambassador to Turkey as he met with high-level officials in all the security branches of the government, Homeland Security Today magazine reported on Monday. 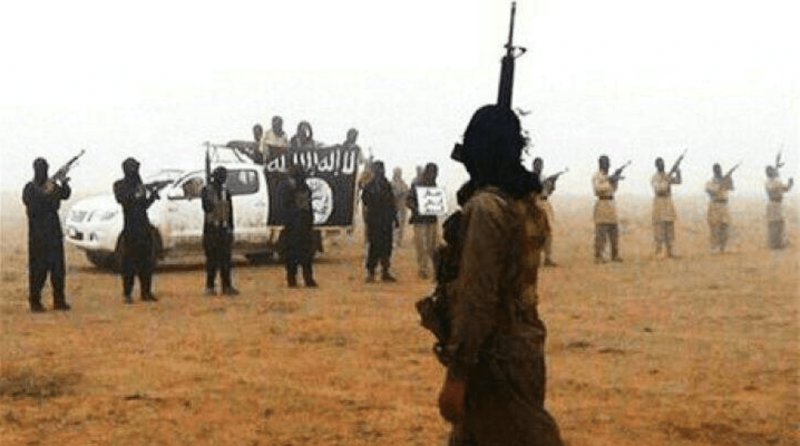 Abu Mansour al Maghrebi made the claim during a five hour interview with the International Center for the Study of Violent Extremism (ICSVE) researchers in February, it said. ‘’Most meetings were in Turkey in military posts or their offices. It depended on the issue. Sometimes we meet each week. It depends on what was going on. Most of the meetings were close to the borders, some in Ankara, some in Gaziantep,” he explained. Abu Mansour explained how he met with government officials in Ankara. “I passed the borders and they let me pass. [At the border,] the Turks always sent me a car and I’m protected. A team of two to three people from our side were with me. I was in charge of our team most of the time,” he said. Abu Mansour’s “diplomatic” reach on behalf of ISIS extended even to the president of Turkey, Recep Tayyip Erdoğan, himself. “I was about to meet him but I did not. One of his intelligence officers said Erdogan wants to see you privately but it didn’t happen,” Abu Mansour said. In 2014, Turkey was trying to play a double game with the West, he explained, by allowing foreign fighters into Syria while giving the appearance that they were taking measures to prevent it. “Turkey wanted to make it easy for foreign fighters to cross the borders,” Abu Mansour said. He went on to explain that EU members were very distinguished with their beards so they were told to come into Syria at night. After coming under increased criticism for lack of security measures along the Syrian border, Ankara intensified efforts to crack down on ISIS activity inside the country in 2015. The country was hit by a series of terror attacks blamed on ISIS in recent years including the last in January 2017 when a gunman killed 39 people in an Istanbul nightclub. "In our meetings, we talked about re-establishing the Ottoman Empire. This was the vision of Turkey," says emissary who came to caliphate from Morocco.